The Natural Wildlife Federation posted, “Recent research shows that children are spending half as much time outside as they did 20 years ago. Today’s kids spend six and a half hours a day ‘plugged into’ electronic media.” Described as a “nature deficit,” children are increasingly losing their connection to nature. 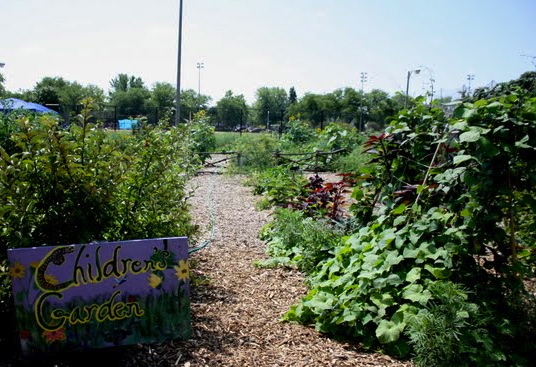 But with an outdoor classroom, access to nature is the last thing they are losing at Kilbourn Park Organic Greenhouse. 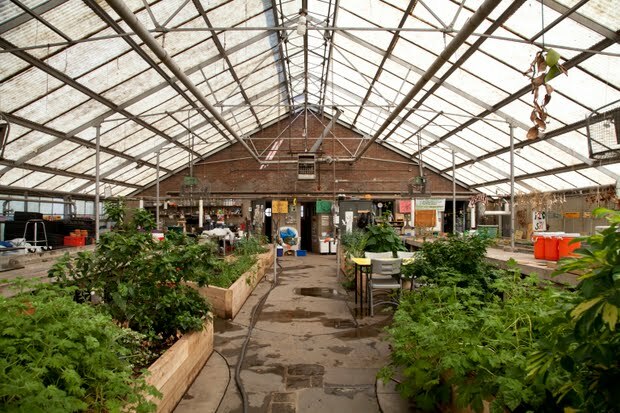 Converted and repaired upon the community’s request in 1995, this organic greenhouse had youth programming in mind. 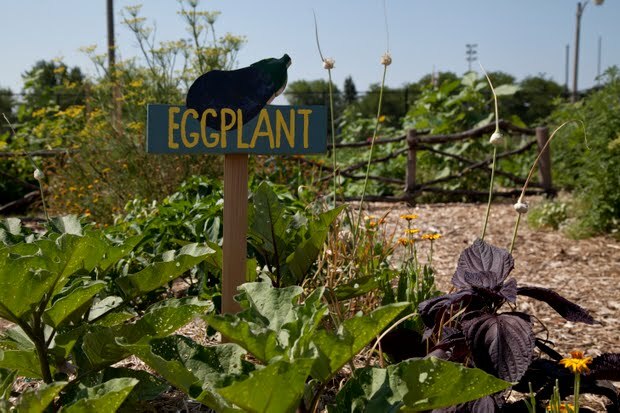 The goal is to “connect kids to nature and healthy foods,” says Kirsten, the greenhouse manager. The summer months are especially busy, as 200 children each week gain exposure to harvesting, eating, and nature exploration. ”I want parents to feel like they can bring their children and explore the garden,” adds Kirsten, as she explains the small sacrifice that comes with toddlers running through the garden. Research shows that children who are allowed to explore outdoors are socially and emotionally happier and healthier. Unstructured outdoor play is also touted as one of the most direct ways to combat childhood obesity, a very real and prominent problem for children. Vitamin D exposure from the sun is known to help prevent a host of diseases, as well as treat and prevent depression. The time has come to support our community spaces and to invest in natural, educational opportunities. The time has come to get our children to play outside again. And it doesn’t hurt if you can get them to eat a few vegetables along the way. This entry was posted in Food Warrior Interns, On the Farm and tagged children, food warrior interns, Kilbourn Park Organic Greenhouse, nature, Real Time Farms, stacie scott. Bookmark the permalink. I know, kids do really need to get out more, I am amazed how they just want to stay in most of the time and play their video games. When I was a kid I always wanted to be outside building forts and having mudfights and whatnot. So this is a much needed program for todays kids to get involved in! Former Chicago Reader editor Alison True and Sarah Steedman (Rick Bayless’s former gardener and the founder of the organic garden at Kilbourn Park on the Northwest side) have been working for close to a year on a project called Urban Craft Lab, a communal crafting workshop company that is now starting to host pop-up events in Chicago-area bars and shops. As a sidelight, Sarah Steedman grew up in Ann Arbor. 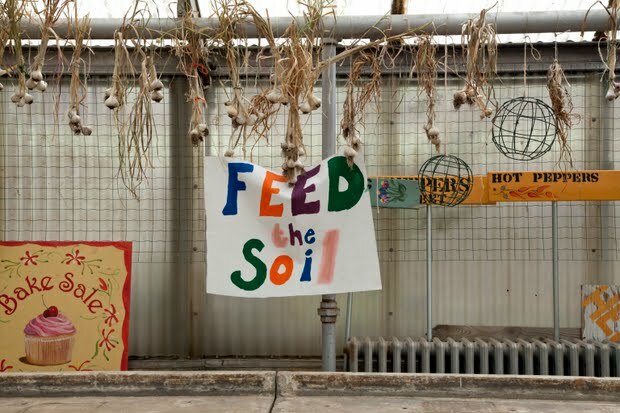 She took an organic gardening program at UC Santa Cruz, and then – moving to CHicago about that time – persuaded the Chicago Parks Dept that with a modest grant she could rehabilitate a dilapidated greenhouse (the one in the photo) and start a wonderful program that continues, bringing neighbors, children and older adults, together to form that splendid garden. Her imagination and vision led to a wonderful, continuing, neighborhood resource.